Super thin, super light, super stylish: Introducing the Ray-Ban 3538 188 1353 Sunglasses in Black. 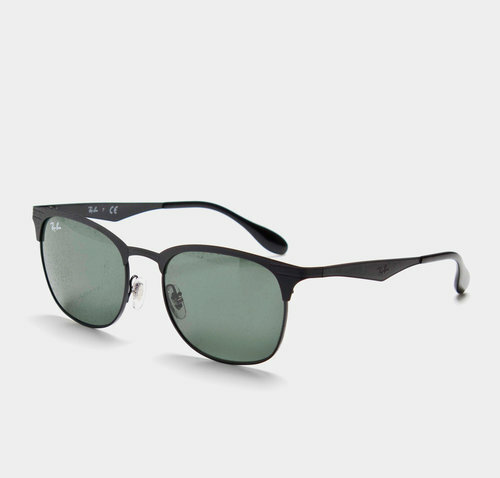 These Ray-Ban sunglasses offer a squared Clubmaster-inspired shape, in a premium-quality full metal frame. The sleek enameled brows complement the green gradient lenses that offer 100% UV protection, these sunnies are lightweight, durable and unmistakably Ray-Ban. Smartly presented in a black frame with a perfect finish, these Ray-Ban sunglasses come complete with their own stylish carrying case so you can be prepared for any occasion, indoors or outdoors. The perfect accessory for any occasion, pull on these Ray-Ban 3538 186 7153 Sunglasses.